Another month, another “Five to Try.” This edition is pretty much all makeup, but I’ll have some new-in skincare featured soon. I’ve got a good mix here of a couple things I treated myself to, a couple things that were sent to me, and a rediscovery. Wander Beauty Glow Getter Mist* | I’ve been trying this out for the past week, and it’s already become a go-to for me to finish my makeup. It reminds me a bit of the Pixi Glow Mist as it does have some oils to give the skin a glow. It boasts glacial water, propolis extract, evening primrose oil, and hibiscus fruit extract to nourish, soothe, and illuminate the skin. I just love how fine the mist is on this, so it adds just a nice veil of luminosity rather than drenching the skin. Any time I feel like my makeup is looking a little too matte/powdery, I just spray a bit of this on and it melds everything together. It'll definitely come in handy in the colder weather when I'm more likely to use more matte and powder products. 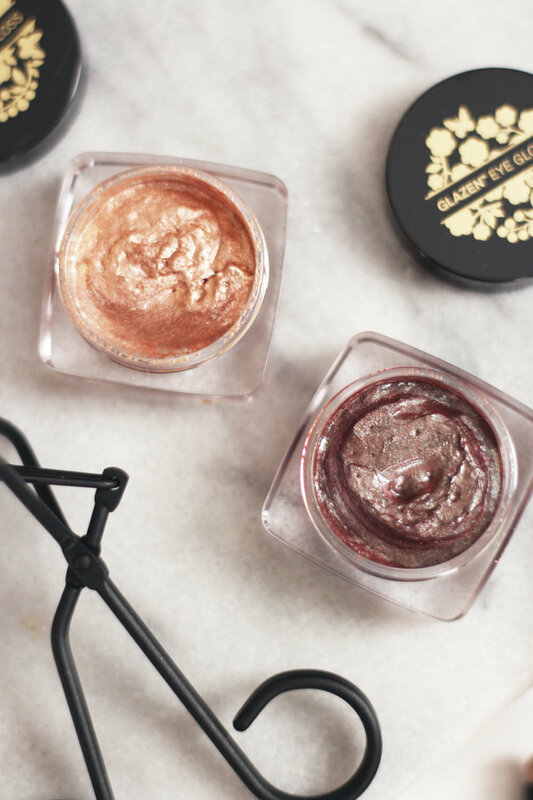 Butter London Glazen Eye Gloss* | If you're looking for a cool new eyeshadow product, then you definitely need to check these out. They're so interesting - they're a wiggly, jelly-like substance in the pot, are incredibly pigmented, and they set once on the eyes. I love the glossy eye look, but it really does not love me and my oily eyelids - it's crease-city within seconds. But with these, the metallic quality of the shades give them a wet look that set and don't budge. I have the shades Frosted, a stunning rose gold, and Oil Slick, which is my favorite of the two - it's a burgundy/brown with an incredible teal/blue shift. It's going to be a staple for fall for sure. Keep an eye out, I'm going to be posting a look using both of these on the blog soon. 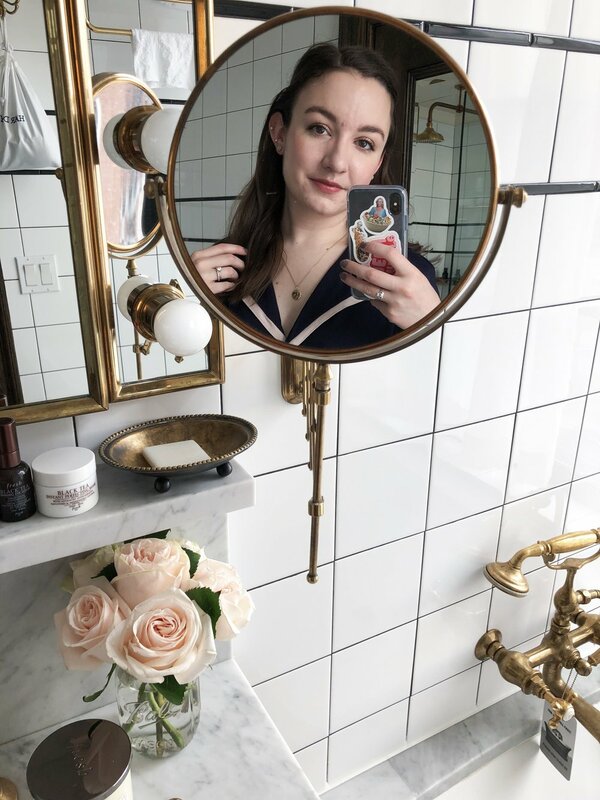 Surratt Beauty Relevee Lash Curler | I had been wanting to try this for such a long time, and I finally bought it in a bit of a "treat yourself" frenzy last weekend. In my defense, I had had my old eyelash curler for probably over three years, and it was starting to get a little too easy to pinch my eyelid. The Surratt one is much wider and a flatter shape than I was used to - it's so easy to get super close to my lashline, but easy to avoid pinching. The curl it gives is so natural, too - none of those L-shaped lashes here. It keeps them curled for so long, too - my eyelashes normally fall flat within a couple hours, but I've noticed they stay looking curly almost all day, even without mascara. Laura Mercier Caviar Stick Eye Colour | This is another product I've been meaning to try for ages, and again, something I picked up last weekend. I had been saving the shades Amethyst, Rose Gold, and Au Naturale in my Sephora Loves, and when I saw all three shades were included in the Mode to Modern set, I needed it. I've been using these everyday for a super easy eye, and they're already one of my favorite eyeshadow stick formulas. It stays pretty well on me without a primer, and it doesn't budge at all with one. On super quick makeup days, I've been using Au Naturale all over - it's a lovely soft mauve-y brown that adds a subtle hint of definition. On other days, I like using Amethyst on most of my eyelid and Rose Gold on the inner third. Yves Saint Laurent Touche Eclat Glow Shot Liquid Highlighter | I've had this since the summer, and I'm really getting back into using it. It gives such a beautiful dewy sheen to the skin without feeling sticky. It has a subtle fragrance to it - I like how it smells, but it's definitely something to keep in mind if your skin is sensitive to fragrance. It's easy to apply and blend out with fingers, and it doesn't move around any makeup underneath. It can also be built up for a more intense, mirrorlike sheen. But for me, I like just applying a little bit for a subtle radiance. What are your favorite things you've tried lately?